SERVPRO of Bay County understands the stress and worry that comes with a fire or water damage. The disruption it causes to your life and home or business is exactly what we are trained to mitigate. Our goal is to help minimize the interruption to your life and quickly make it "Like it never even happened." SERVPRO of Bay County specializes in the cleanup and restoration of residential and commercial property after you sustain damages from fire, water , mold or bio-hazard SERVPRO of Bay County. These damages can be from every day mishaps such as toilet overflow, supply lines or in worse case storms. SERVPRO of Bay County also has a full line of Construction Services so you don not have to locate a contractor to put your home back together. We are a general contractor who can see the job through to completion no matter the size. Our staff is highly trained in property damage restoration. From initial and ongoing training at SERVPRO’s corporate training facility to regular IICRC-industry certification, rest assured our staff is equipped with the knowledge and experience to restore your property. 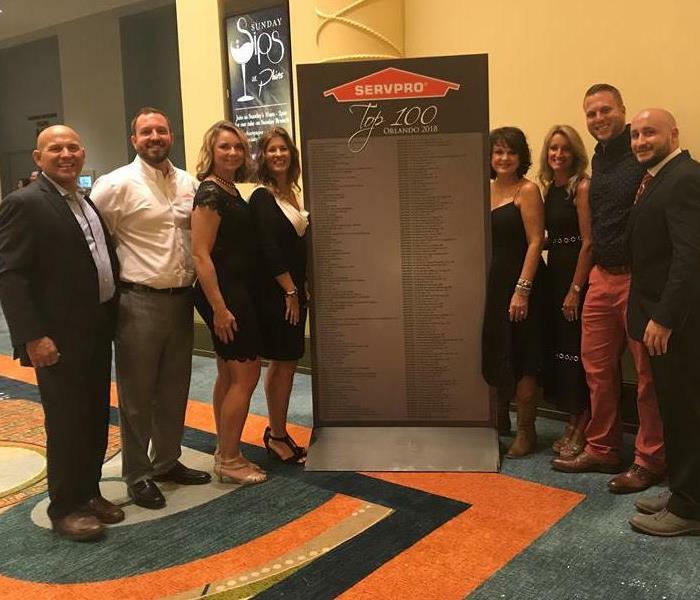 SERVPRO of Bay County is a certified large loss restoration team and is part of the SERVPRO system of more than 1,700 qualified franchises, no damage is too large or too small for SERVPRO of Bay County. Serving you locally since 1989, SERVPRO of Bay County is locally owned and operated we are the restoration brand you know and trust.